For installing Prestashop Marketplace Product Tag module you need to install Marketplace module first. After installing marketplace module you can start the installation of Marketplace Product Tag module. 2. Upload zip file of Marketplace Product Tag module. 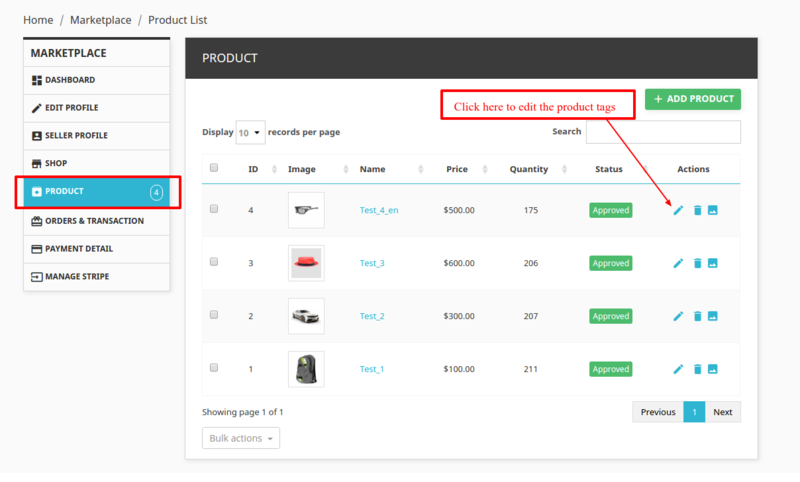 After successful installation of module , go to Product -> add product button at front end, seller can see a new field named Product Tag at the end of the add product page. Seller can add tags in any language. 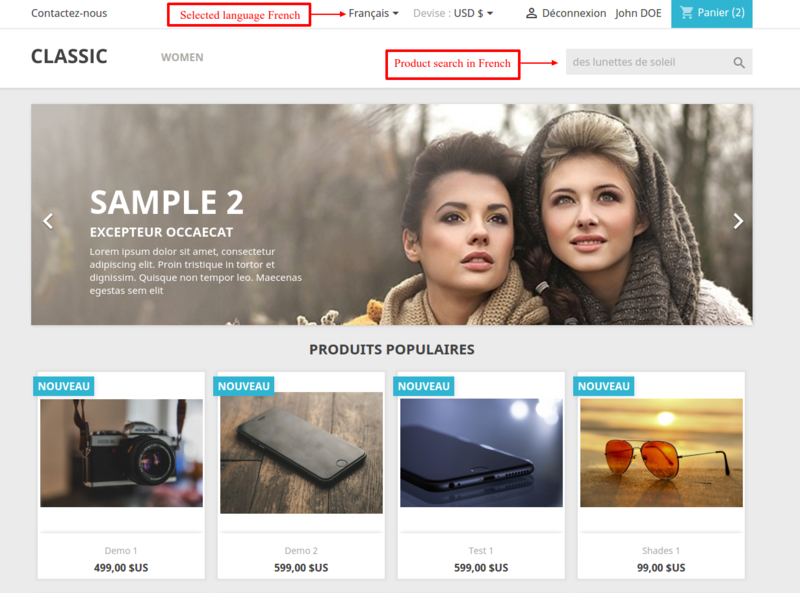 In order to add product tags in multi-language, the desired language should already be installed in Prestashop. Seller can also update the product tag values from edit option available inside Product List page. 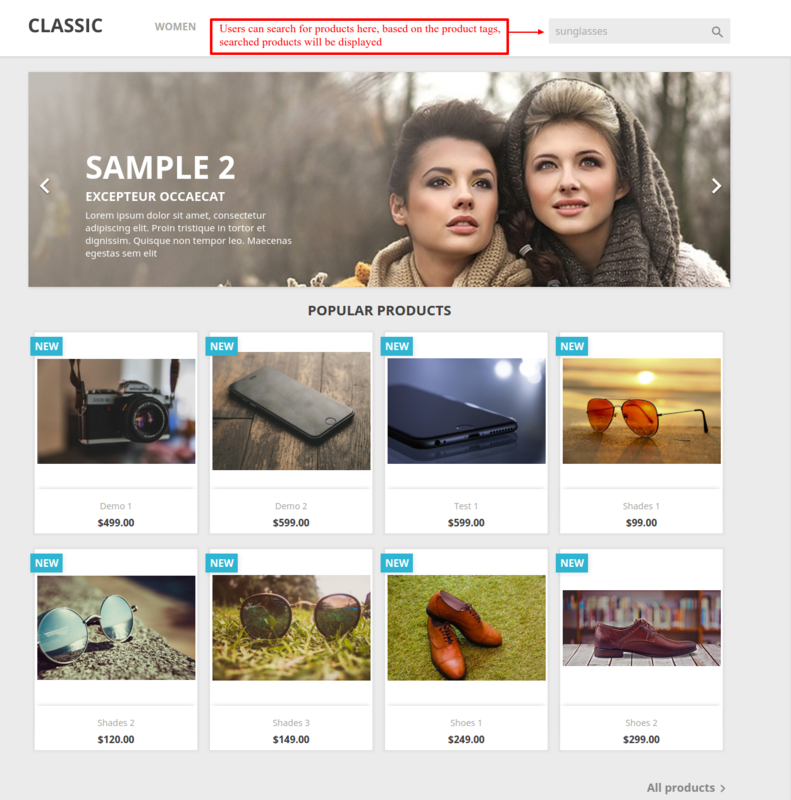 Clicking on edit button, will take seller to the update product page. Seller can edit or remove the product tags from here. Seller can also add product tags in multi-language from here. 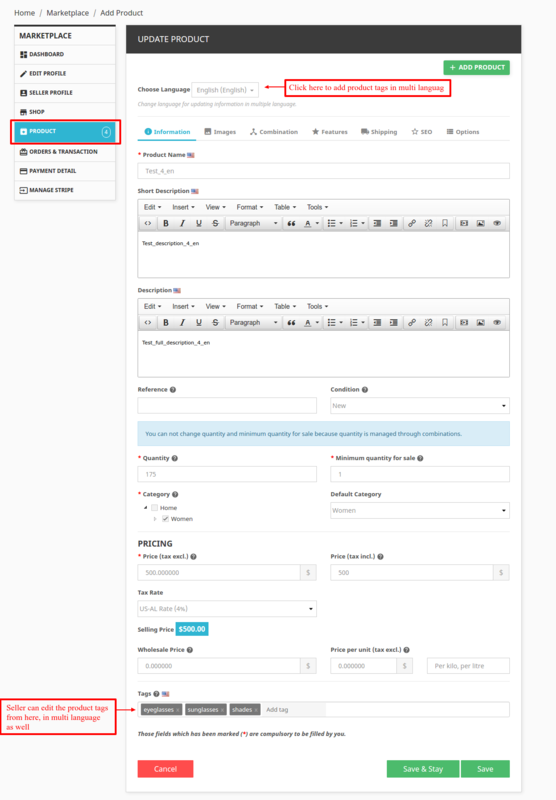 After adding the product with tag values, admin can also view and edit the product tag values from back office. Go to the admin back office and click on Marketplace Seller Product tab inside Marketplace management tab. 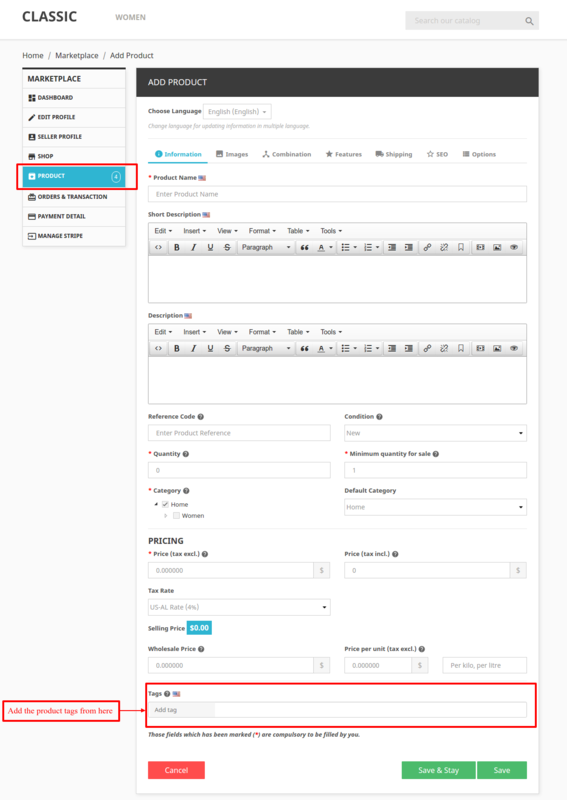 Click on the edit option of the product for which product tags have been added and admin can view and edit the added product tags. Admin can add the product tags on seller products in multi-language. Users can search products and based on the product tags added to the products if user search matches the product tags, products will be displayed. If seller has added the tag in different language, then users can view the tag in the selected language. Also can search products in desired language and accordingly products with tags added in that language will be displayed, if search matches product tags. After searching for a product if any of the searched keyword matches the product tag which seller have added for product, users can view all the products for which that tag has been added. 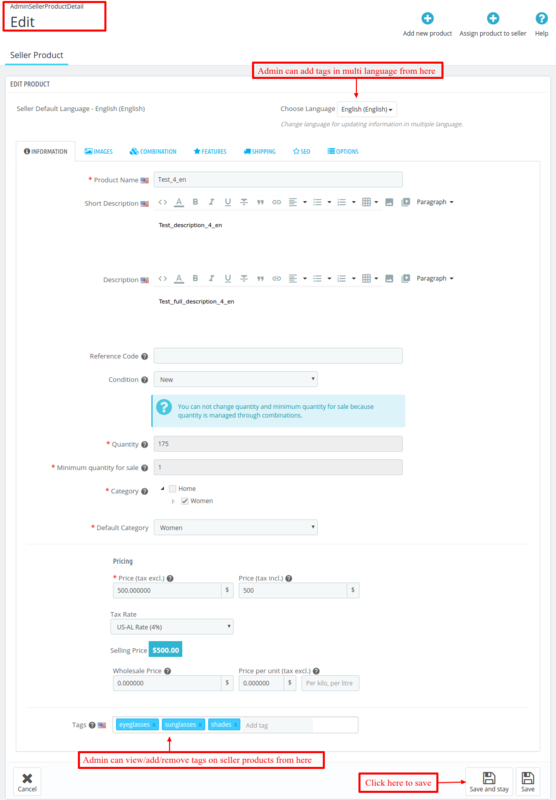 So, this way module will help the seller as well as admin to manage the tags for the products.